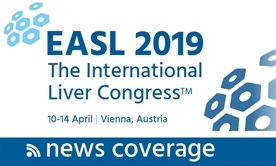 Visit our conference news pages. 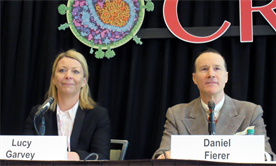 Lucy Garvey and Daniel Fierer at CROI 2019. Photo by Liz Highleyman. Hepatitis C drops among HIV-positive London gay men after direct-acting antiviral scale-up. 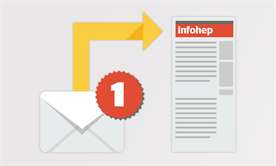 Sign up for our monthly hepatitis news bulletin.